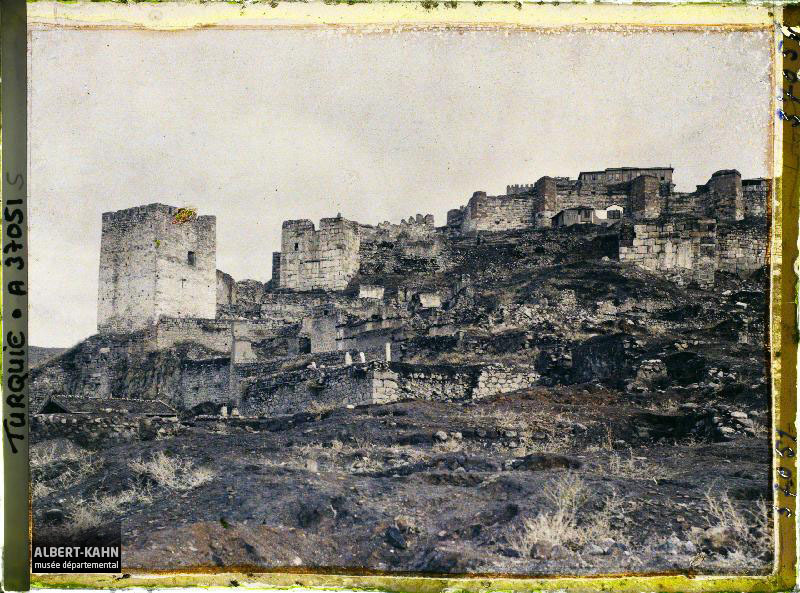 Photography has a very rich history and by its nature, it spans the whole world. 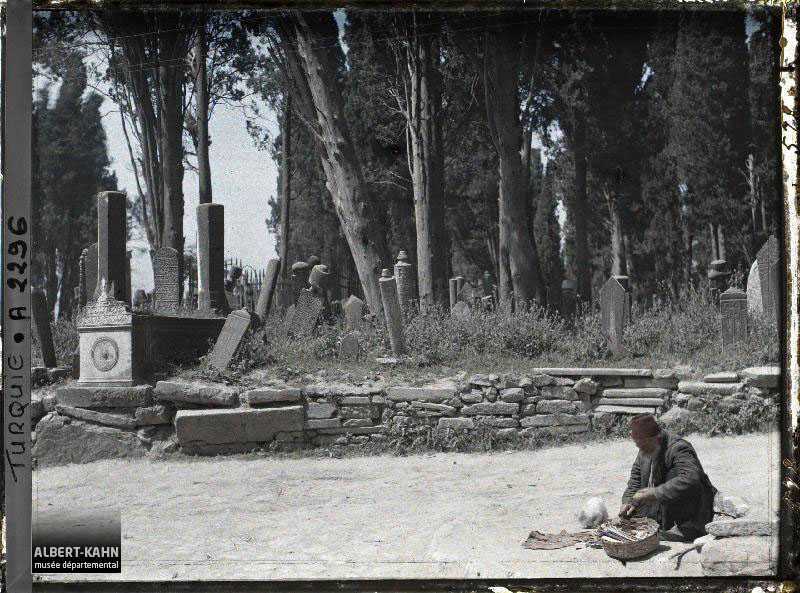 I stumbled on a branch of this rich history and learned about Albert Kahn whose generosity allows us to enjoy over 70,000 autochrome plates from all corners of the world, well, most corners! The autochrome process was invented by the Lumière brothers in 1903 to record the scenes in color. One of the ingredients of the process was potatoes! Yes, potatoes. Potato starch, processed down to quarter the diameter of a human hair and died in red-orange, green, and blue-violet created the color layer under a layer of B&W coating. Unlike the regular glass plates which are inserted the emulsion side towards the lens, autochrome plates were inserted with the glass side towards the lens and exposed. On the right is a greatly magnified autochrome plate color layer. You can read more about autochrome process on Wikipedia. 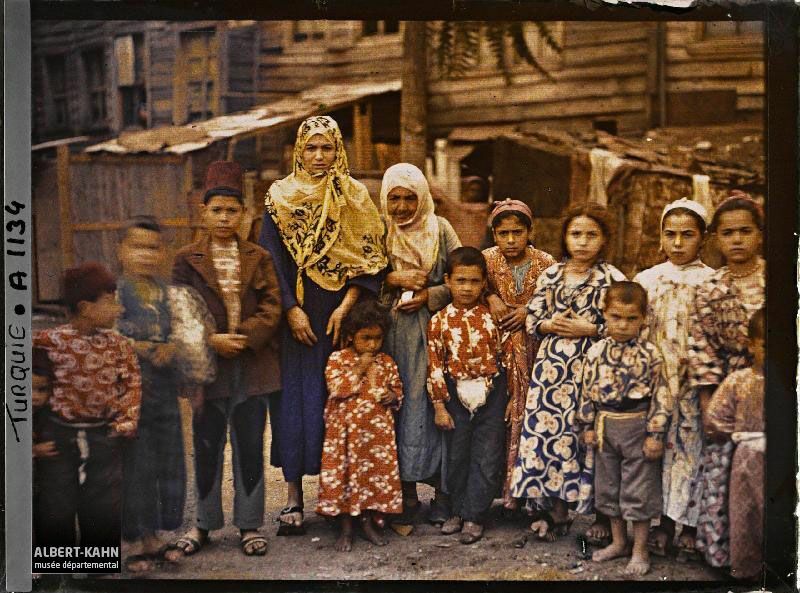 A wealthy philanthropist Albert Kahn commissioned the project, The Archives Of The Planet that would span the years 1909 – 1931 and produce 72,000 color photographs from 50 countries. He himself traveled to Japan and produced his own body of work. But, the bulk of the photographs are the result of the work of the hired photographic team. 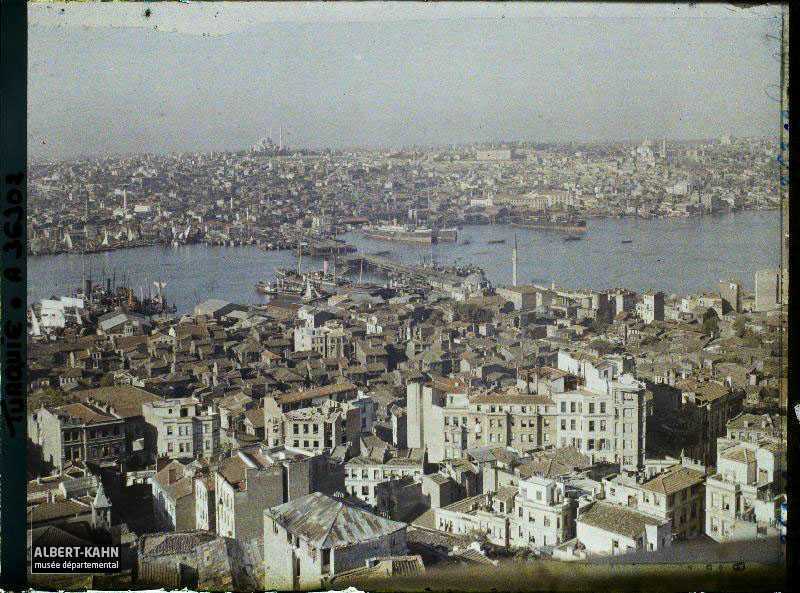 I have gone through the collection segment covering Turkey with close to 2,000 photographs. Some are clearly identifiable, but many remain unique views of a bygone era. Even those I could identify look different now in a vastly different context. If you wish to explore The Archives Of The Planet, keep in mind that it is in French but the interface offers a robust structure that makes the search or browsing relatively easy. There is a map view that shows the locations with photographs, then the viewer, as well as an option “Imagery” which I used for my study of the collection and the link above will start you there. Below are photographs from The Archives Of The Planet that presents a small selection from a small section of the collection. They are presented in alphabetical and date order. Some came with rich embedded EXIF information with captions and others did not, probably due to the way I downloaded them. The photographs appear as they have been downloaded with no editing although they can be improved with some. Enjoy The Archives Of The Planet fragment below, thank Albert Kahn, and visit the site to explore even more. 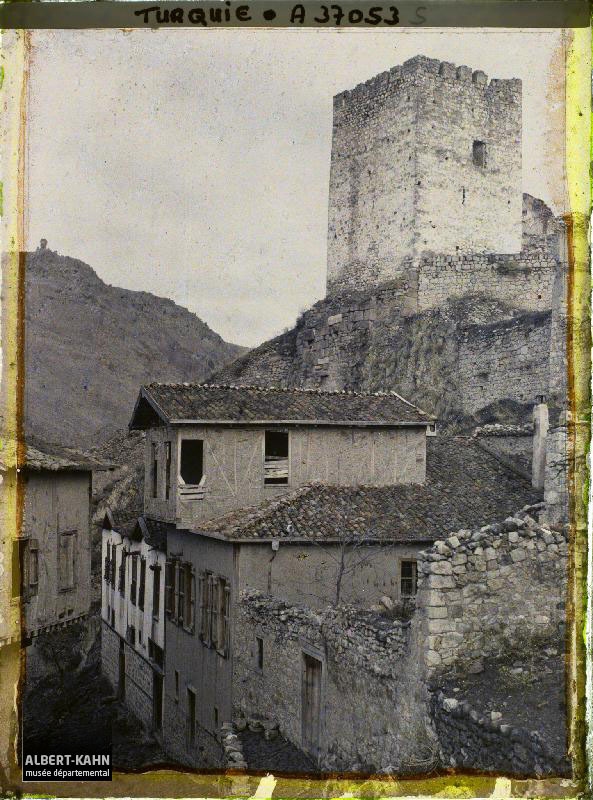 All photographs are from Département des Hauts-de-Seine, musée Albert-Kahn, Archives de la Planète, with much appreciation. Good morning Haluk, glad you enjoyed the collection. I’m sure you noticed the Antalya member of the parliament too. Following a small lead from a book proved to be very worth while and I learned about Kahn and his archive. Regarding the response to the comments, I had no idea, I will look into it. You probably checked your junk mail folder. I am most impressed and moved Cemal Our home town,with its the monuments , our greatest leader Mustafa Kemal and his friends are all there! It is a must for all my ex – students and colleagues to study your site very carefully.. I am proud of you. We all owe you thanks for discovering Albert Khan. It is hard not to be impressed by Kahn’s archives Binnaz. What I shared is a small tip of the huge iceberg of a collection. Thank you for your kind words. Haluk, bu bir denemedir. Alirsan bana bir e-mail yolla lutfen.